he8: The best part about this place is that the funny little short man never stepped foot in it. 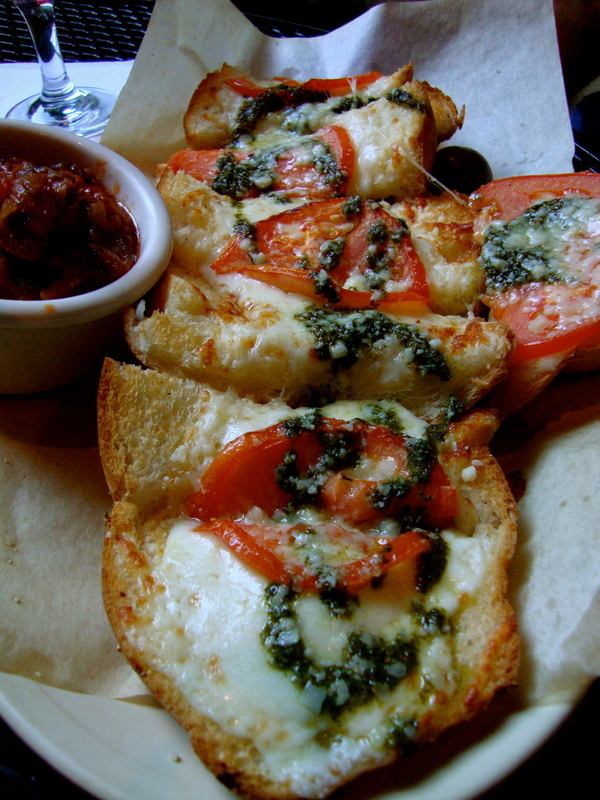 she8: This historic landmark dates back to 1797… I believe the bruschetta did as well. Napoleon never made it here and he didn’t miss much. we8: Bruschetta with basil, mozzarella cheese, tomato and caponata. she8: Okay. Okay. I’m sorry I haven’t watched Street Car Named Desire! he8: Sweetbreads to rival Buenos Aires and an afternoon with she8 and shiraz. A perfect day. she8: First meal in NOLA and not the last time I will visit. Had the most interesting PB&J with a twist! we8: Eggplant Caviar and Tapenade with Herb Croutons, Goat Cheese Crouton with Mushrooms in Madeira Cream, Sautéed Sweetbreads with Potatoes, Mushrooms & Sherry Mustard Butter, and Smoked Duck, Cashew-Peanut Butter and Pepper Jelly Sandwich. We shot our first he8she8 trailer in New Orleans recently during our food, frolic & forking experience there. Looking forward to shooting in our favorite cities! Be sure to check us out on Facebook and Twitter (@he8she8).